During my time on this planet I've known several people who are doing much better financially than I am. I'm sure you have known people more successful than you are. Some of these people were born to it or inherited it. Others worked for it. Some were smarter and harder working than I was. Some have skill sets which I lack. Other people are just older and more experienced. Other folks simply happened to marry well. In any event very few of them liked giving money away, and certainly not to the state or federal government. I remember listening to a rant by a former friend, who having built an income in the high six figures, was outraged that to her mind, so much of it, too much of it was going to the federal government. It seems like it was a weekly event of listening to her whine about taxes and how it wasn't fair and blah, blah, blah. I've also known a few wealthy people who made it a point never to complain publicly about their taxes because they considered it gauche and something not likely to engender sympathy. I certainly didn't feel much sympathy or empathy for the friend I mentioned. This lack of sympathy often occurs because when you're living paycheck to paycheck you don't see how someone making high multiples of what you make can have too many financial problems. I look at some people making more than I make and think they have it made. But I also know some people who earn much less than I do and think I have it made. And I assure you that is so not the case. It's all relative. This feeling of "Buddy we've all got it tough" could be what golfer and California resident Phil Mickelson ran into when he complained about the high taxes he was paying, and specifically the increased taxes he would owe under the fiscal cliff deal and California's just passed 13% income tax rate. “If you add up all the federal and you look at the disability and the unemployment and the Social Security and state, my tax rate is 62, 63 percent,” Mickelson said. “So I’ve got to make some decisions on what to do.”Mickelson, who lives with his wife, Amy, and their three children outside San Diego, his hometown, said he planned to elaborate on his comments in more detail this week when the tour stopped in his backyard, at Torrey Pines in La Jolla, Calif. In December, Mickelson, who was part of a group that had bought the San Diego Padres four months earlier, abruptly announced that he was no longer involved in the business deal. His reversal came shortly after California voters approved Proposition 30, which imposed a 13.3 percent tax rate on incomes of more than $1 million. Asked Sunday if the election results played a role in his decision to sever his ties with the Padres’ ownership group, Mickelson replied, “Yeah, absolutely.” "I'm not going to jump the gun, but there are going to be some drastic changes for me because I happen to be in that zone that has been targeted both federally and by the state and...it doesn't work for me right now." Mickelson faced a backlash over his comments with some people claiming he should only be paying 52% of his income, not 63% and therefore should stop whining and take it like a man. Mickelson frenemy Tiger Woods came to Mickelson's defense by pointing out that high taxes were one reason that he had previously left California. But perhaps not wanting to seem insensitive or place himself within political controversies any more than he already had, Mickelson issued an apology for his statements. "I'm like many Americans who are trying to understand the new tax laws. I certainly don't have a definitive plan at this time, but like everyone else I want to make decisions that are best for my future and my family. Finances and taxes are a personal matter and I should not have made my opinions on them public. I apologize to those I have upset or insulted and assure you I intend to not let it happen again". 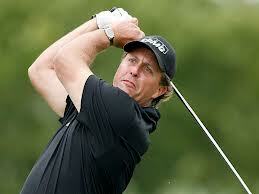 Mickelson was, according to Sports Illustrated, the second highest paid athlete in 2012. Floyd Mayweather was #1. So even by the elevated standards of New York or Hollywood, Mickelson would remain rich even if the federal, state and local governments really were shaking him down for 63% of his total (not marginal) income. Perhaps he really should just keep his mouth shut and pay up. Never complain and never explain is often really good advice for an adult to heed. If you're paying a lot of taxes, you're probably earning a lot of money so what do you really have to complain about when all is said and done? Mickelson's net worth is estimated at or around $180 million. So it's not like I'm ever going to see Mickelson on my homeward bound expressway exit forlornly holding up a sign that reads "Will putt for cash. Please help". But Mickelson should count himself lucky. Progressive talk show host and author Thom Hartmann thinks we should outlaw billionaires. Mickelson doesn't make that cut yet but if he keeps whining I'm sure some people might decide that a 100% wealth tax on anything over 1 million might be a good idea. On the other hand I am shortly due for significant pay raises and bonus, though the increases are sadly somewhat short of $60 million. 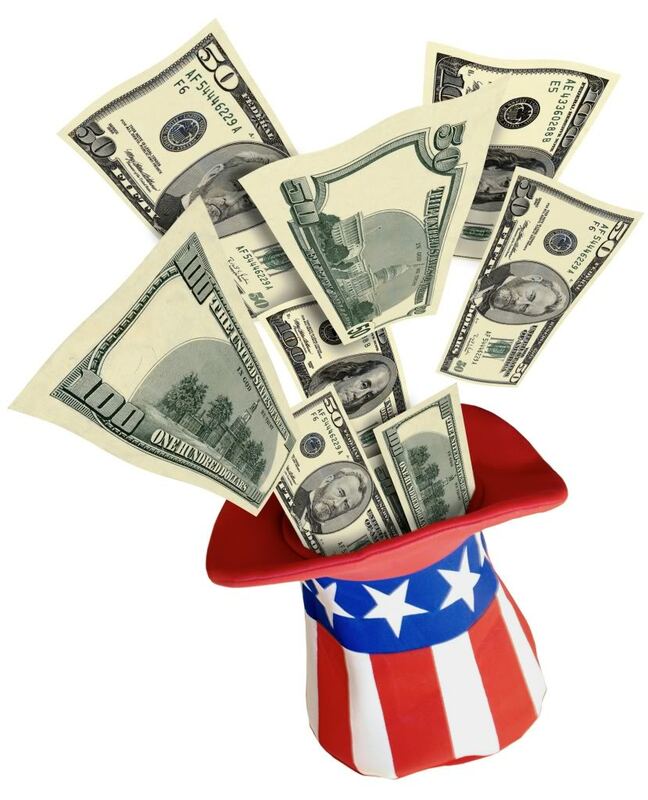 I imagine that I will be rather po'd when I see how much of the increase in income goes to the federal government. Last year I remember going to my boss wondering if the check was correct. NO ONE likes taxes!! Was Mickelson right to speak out? Do you have any sympathy? Is 63% of income going to government too high? How much of his own money should Mickelson get to keep?